Rainy Days Are Glaze Days! Hey everyone! It's pretty dreary here on the East Coast at the moment, so today we're taking it easy and getting some glazing done. 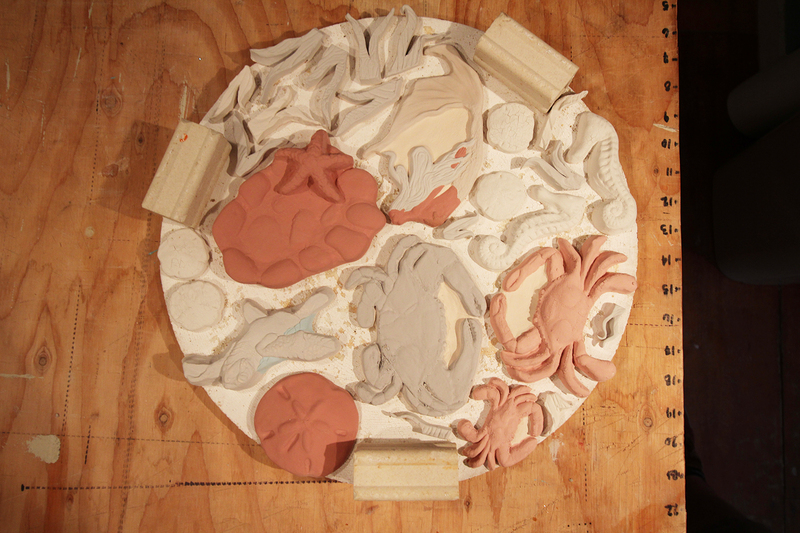 Kelp, seahorses, crabs, shells, a turtle, and a mermaid all glazed up and ready to be fired! One of the many trays going into the kiln today. We're hoping this rain clears up soon so that we can enjoy the fall foliage before winter hits!